This one I remember from the video more than airplay. A simple but effective riff to open the song and there is also The Band member Garth Hudson playing with The Call. That is what got my attention when I saw the video in the 80s. When The Walls Came Down peaked at #74 in the Billboard 100 and #17 in the Billboard Mainstream Rock Songs in 1983. I liked some of Squier’s earlier songs. This song peaked at #28 in the Billboard Mainstream Rock Songs in 1981. The song was on the Don’t Say No album which peaked at #5 in the Billboard Album Charts in 1981. The album had four well-known songs on it including The Stroke, My Kind of Lover, In The Dark, and this one. This song has always had a Led Zeppelin feel to me. Squier asked Brian May of Queen to produce this album but because of scheduling conflicts, he couldn’t do it but recommended Reinhold Mack who produced the Queen album The Game…who ended up producing this album. Squier worked out of Boston and worked with at one time or another Ric Ocaskik, Joe Pepper, and Tom Shultz. My second concert was a Billy Squier concert on November 30, 1982, in Nashville at the Municipal Auditorium. The Auditorium has been around since the early sixties and I remember seeing the No Smoking signs at the beginning of the concert…by the end you couldn’t see them because of the smoke. Nazareth opened up for Squier. My first two concerts were REO and Billy Squier…My sons first two concerts were Paul McCartney and Ringo Starr…I told him he had a much better beginning than I did in his concert history…his third was Bob Dylan. Are you ready for a fight, do you wanna take it all? Another gem from the White Album. John Lennon loved to sleep…he referenced it in another song on Revolver named “I’m Only Sleeping.” Paul would have a songwriting session planned with Lennon and would arrive at John’s house only to have to wake him up. I’ve always liked this song and fit perfectly with the diverse song styles of the album. John wrote this at a transcendental meditation camp in India when he couldn’t sleep. He was meditating day and night, and after three weeks of meditation and lectures by the Maharishi, he thought of his future wife Yoko Ono while his current wife Cynthia was there with him. and came up with the song. He even thought of inviting Yoko with him along with Cynthia… that would have added some spice to the trip. Bringing a date on a trip with your wife…probably a bad idea. John mumbles something at the end of the song. Mark Lewisohn’s book “The Beatles Recording Sessions” explains this final bit of Lennon mumbling as “Monsieur, monsieur, how about another one?“, insinuating that he was requesting another attempt at the backing vocals. This final mumbling was the only one that made it onto the finished mix. In 1969 when the “Paul is dead” rumor went around the world people insisted when the mumbling at the end of this song was played backward, John was saying “Paul is dead, miss him, miss him, miss him!” This made for yet another clue for the poor departed Paul …but of course was not true and Paul was and is very much alive… but it did ruin a lot of record player needles in the process of trying to find out. John said this about the song: “One of my favorite tracks. I just like the sound of it, and I sing it well“. The voice at the end sounds like, “Paul is dead man, miss him,” when played backward. This helped fuel rumors that McCartney was dead and replaced by an actor that looked like him. The word “get” as used in this song is a well-known term as a quite mild insult that is still commonly used on Merseyside. Lennon is cursing Sir Walter Raleigh (who is credited with introducing tobacco to Britain from America in the 16th century) for indirectly getting him hooked on cigarettes. At the bottom below the lyrics, I found a version of Paul singing the song and having a good time. It possibly is from the Let It Be sessions…I’m not sure. This sounds like it should have been a hit but it was never pushed as a single at the time. It was the B side to Butcher’s Tale (Western Front 1914) which is an experimental song and was a big surprise to the band that it was picked as the first single. Both are from the great album Odessey and Oracle in 1968. There are several songs on this album that could have been in the charts but Time of the Season was the only one that made it and it was a year after the album was released. Bruce Eder of AllMusic gave the album five stars out of five, calling it “one of the flukiest (and best) albums of the 1960s, and one of the most enduring long-players to come out of the entire British psychedelic boom”. My sister…lover of the Osmonds and everything unholy in music to me…somehow had this fun R&B groove single by Joe Tex. The song peaked at #2 in 1972 in the Billboard 100. “I Gotcha” shows more than a little James Brown influence. Some say it wasn’t just influence but more than a little mocking. The two, who sometimes shared a stage, feuded quite a bit…dating back to the 50s. Tex said Brown copied his moves and later stole his girlfriend, Brown didn’t like the way Tex made fun of him. This supposedly led to an incident where allegedly Brown used a gun to fire a few rounds at Tex in a nightclub, then pay off the patrons with $100 bills so they wouldn’t call the police. The battle began in earnest when James Brown stole Tex’s girlfriend, Bea Ford. Then, just to twist the knife, Brown sent Tex a letter telling him that he was through with the Bea and Joe could have her back. This led to the record “You Keep Her”, where Joe calls James out by name, saying he was better off without the Bea anyway. This was Joe Tex’s highest-charting career single as far as the Billboard Hot 100 was concerned. It is all original Joe Tex, in his own absolutely inimitable style – he’s known as one of the precursors of rap music. While Joe Tex may have been charting on the Hot 100 since 1965, his previous highest score had been #5 for his breakout single “Hold What You’ve Got”. Since that time, he’d barely tasted the Top-10. This song was actually the B-side of “A Mother’s Prayer” – Radio station DJs would flip it and play this side instead, giving him his highest-charting hit. We have yet another Tarantino hit! The film Reservoir Dogs features this song prominently. It’s used for the scene where three of the robbers transport the hostage cop to their warehouse hideaway, where they proceed to beat the nickels out of him, both because they suspect they were set up and just to work off some frustration after their robbery plan goes to pieces. The action is even choreographed to the music a little; watch Michael Madsen pulling off a length of duct tape in time to the lyrics for a beat or two. Joe Tex re-recorded “I Gotcha” for his 1978 album Rub Down, this time as a ballad. You thought you got away from me, didn’t ya? You tried to sneak by me, now didn’t ya? This is a very well written song. Mike Campbell wrote the music and produced this track. As a member of Tom Petty and the Heartbreakers, Mike writes tracks for many of Petty’s songs. He first collaborated with Henley in 1984 when he wrote and produced “The Boys of Summer,” which he came up with on a 4-track tape recorder in his house. The song peaked at #21 in the Billboard 100 in 1990. Don Henley wrote the lyrics with J.D. Souther, who frequently collaborated with the Eagles. The song was included on the album The End of the Innocence which was a very good album. I was going through a breakup at the time and of course, this song I could relate to…this and about every Temptations song ever made. Campbell played guitar on this and another track on the album, “The Last Worthless Evening.” Here’s our full Mike Campbell interview. India.Arie recorded this in 2006 on her album Testimony: Vol. 1, Life & Relationship; her version hit #79 in the UK and #33 in Canada. Those Who Could Not Escape Their Character. I’m not saying that these actors and actresses never acted in anything else but they ended up trapped in the role that ended up defining them good or bad. This list could have been much longer. 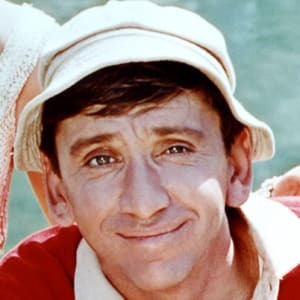 Bob Denver – Gilligan – I just picked Bob because he was the star of the show but a point could be argued that the entire cast of this show was eternally typecast. Bob Denver also played Maynard Krebs (which I loved) on The Many Lives of Dobie Gillis but Gilligan wins out. Mark Hamill – Luke Skywalker – After he auditioned for the title role in 1983 movie Amadeus the director dismissed the idea saying “I don’t want Luke Skywalker in this film.” He has broken a little out of the image by doing voiceovers like the Joker in Batman animated cartoons. Carrie Fischer – Princess Leia – Harrison Ford was able to break out more successfully than his other two co-stars in Star Wars. 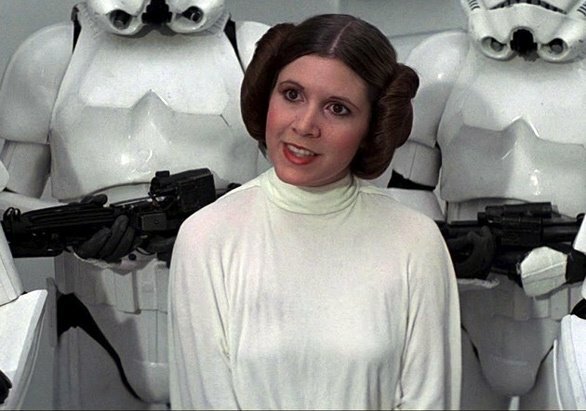 Carrie Fischer acted in a lot of movies but could never shake Princess Leia…she is forever frozen in time in the minds of teenage nerds at the time and now. Barbara Eden – Jeannie – She appeared in many TV movies but nothing topped beautiful Jeannie. Larry Hagman did manage to escape his character in I Dream of Jeannie into another…J.R. Ewing. Elizabeth Montgomery – Samantha – Everyone’s favorite witch. Like Eden she did many TV movies…a lot of them really good but is known for Samantha. 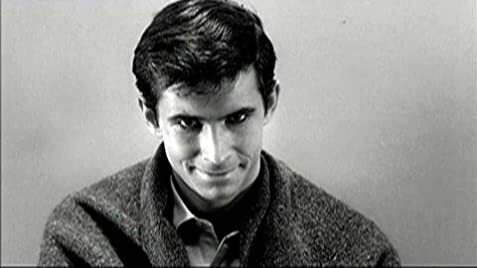 Anthony Perkins – Is Norman Bates and there is no arguing that. 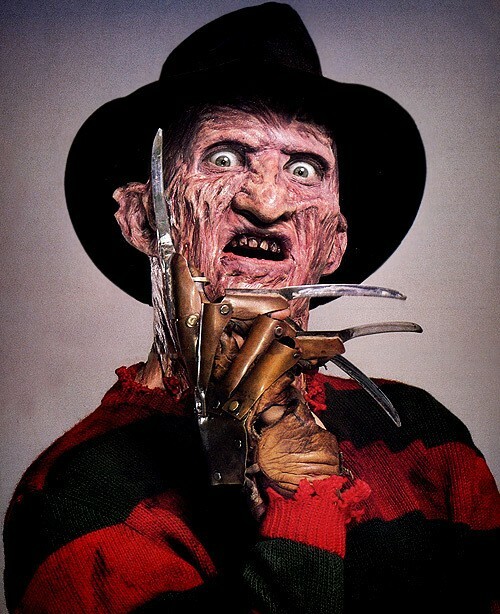 Robert Englund – Freddie Kruger – and I don’t believe he minds at all. 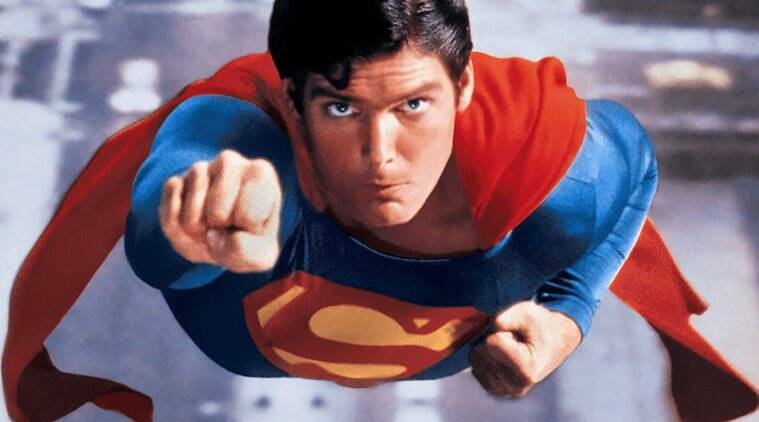 Author badfinger20Posted on April 12, 2019 April 11, 2019 Categories 1960s, 1970s, Actors, Actresses, Movies, TV ShowsTags Anthony Perkins, Barbara Eden, Bob Denver, Carrie Fischer, Christopher Reeve, Don Adams, Elizabeth Montgomery, George Reeves, Mark Hamill, Robert Englund39 Comments on Those Who Could Not Escape Their Character.